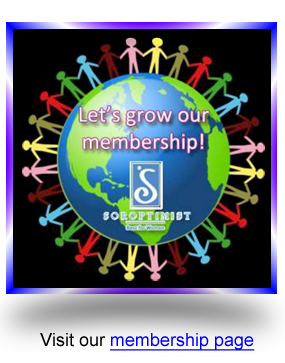 Soroptimists are women of all ages, cultures and ethnic groups. 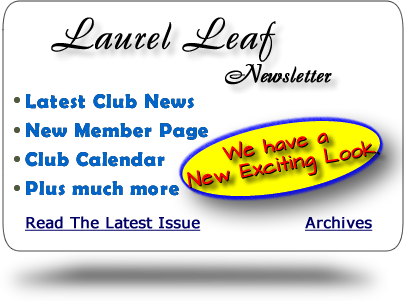 Members represent a wide array of professions, including doctors, attorneys, teachers, chief executive officers, business owners and government officials. 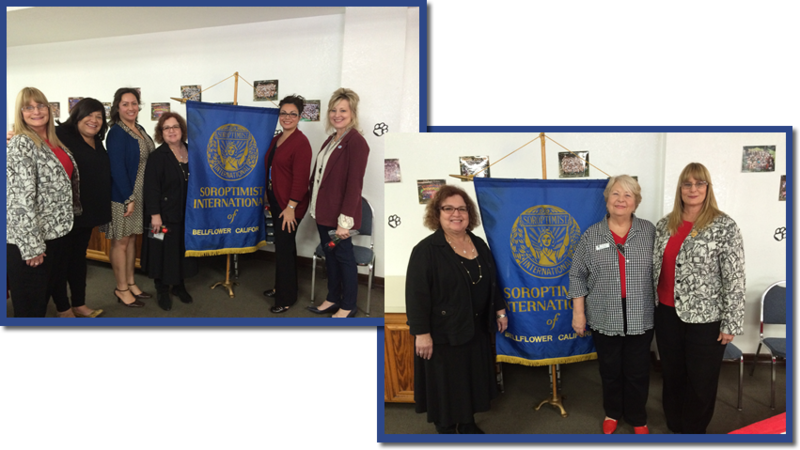 Soroptimists are leaders in their communities who believe in the power of joining together to make the world a better place for women and girls. 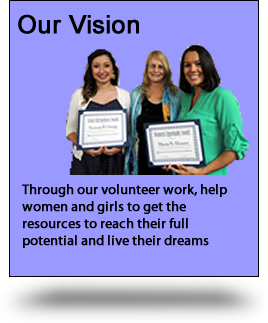 Want to make a difference for women and girls around the world? 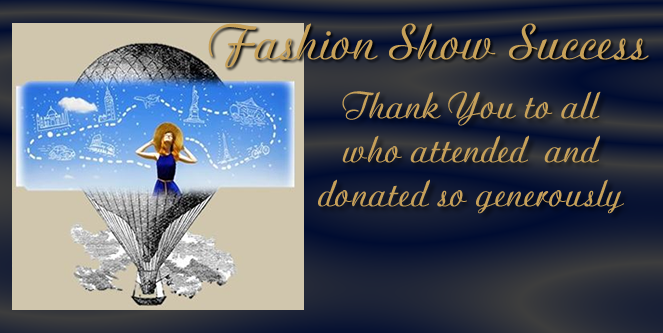 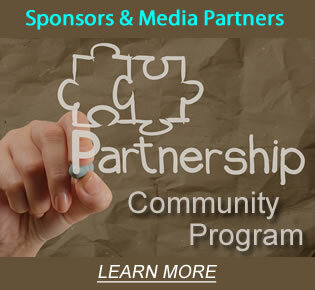 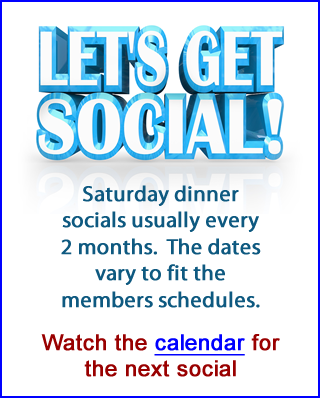 • Want to give back to your community? 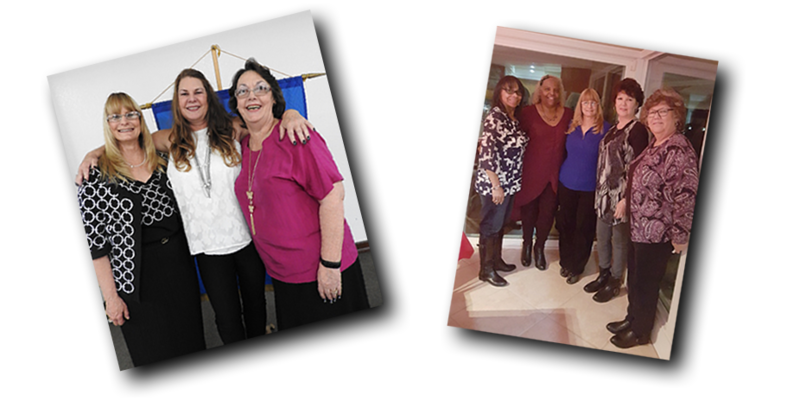 Become part of an international organization of women who volunteer their talents and energy to help women and girls live their dreams every day by giving them the resources to create positive change for themselves and their families. 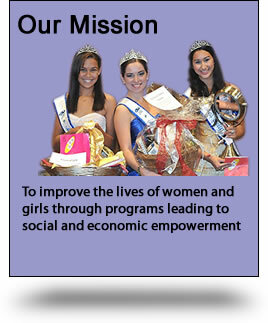 Soroptimists inspires women and girls to live their dreams and encourages them to pass on their good fortune to others. 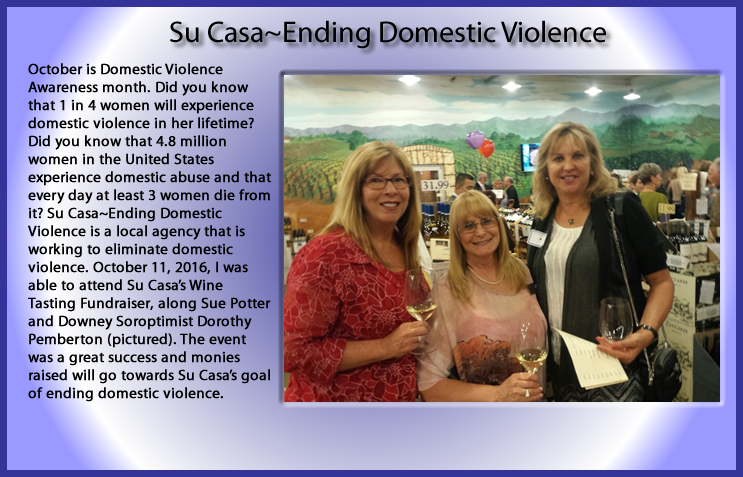 When women help themselves and one another, amazing things can happen. 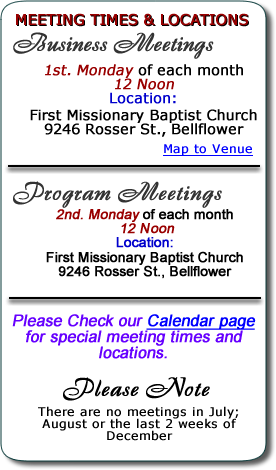 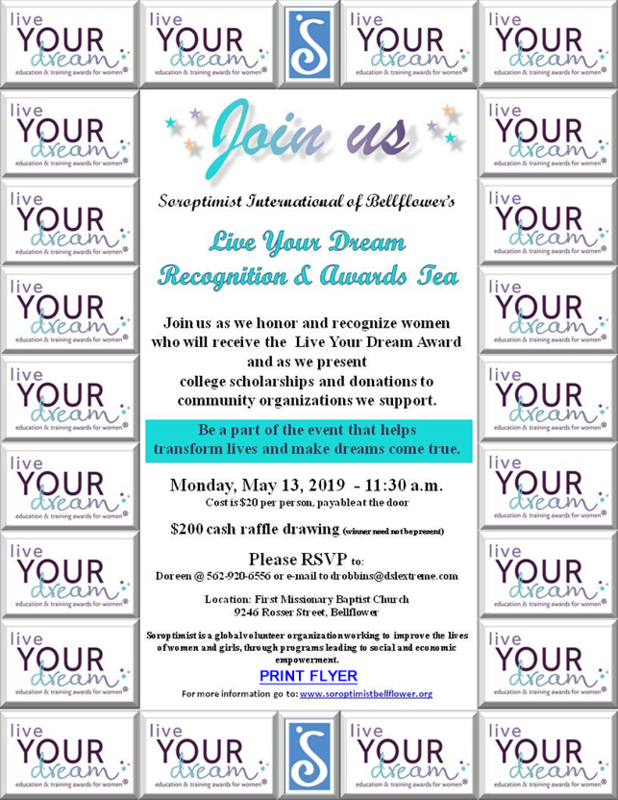 Come and learn about the Bellflower Soroptimists and how you can become part of an organization that encourages women and girls to live their dreams.